The term "money laundering" originated from the Mafia group in the United States. Mafia groups have made huge amounts of extortion, gambling, etc. and this money is shown as legal money. Money laundering is a buzz word in the Indian politics in the current scenario. In India, "money laundering" is popularly known as Hawala transactions. This was most popular in India during the 1990s when the names of many leaders were exposed in it. 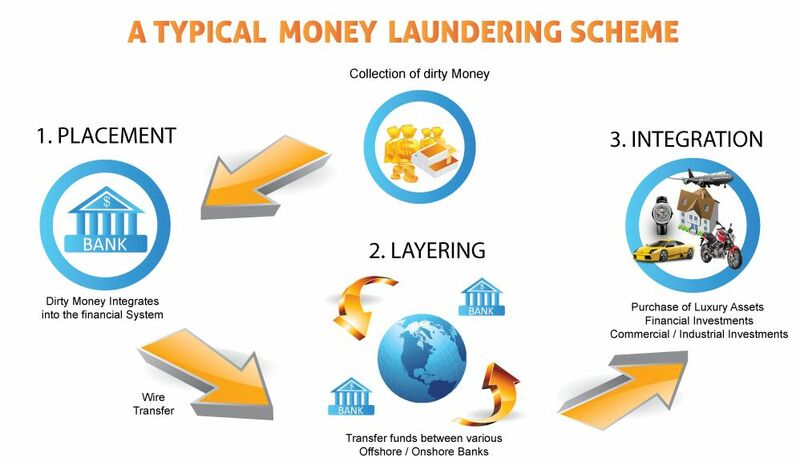 Money Laundering refers to converting illegally earned money into legitimate money. So Money Laundering is a way to hide the illegally acquired money. In the method of money laundering; money is invested in such a way that even the investigating agencies can’t trace the main source of wealth. The person who manipulates this money is called "launderer". So the black money invested into capital markets or other ventures returns back to the real money holder as the legitimate money. 1. Placement: The first step in this process is the investment of black money in the market. The launderer deposits the illegal money through different agents and banks in the form of cash by having a formal or informal agreement. 2. Layering: In this process, the launderer hides his real income by making foul play. The launderer deposits funds to investment instruments such as bonds, stocks, and traveler's checks or in their bank accounts abroad. This account is often opened in banks of those countries which do not reveals the details of their account holders. So in this process the ownership and source of money is disguised. 3. Integration: The final stage at which the ‘laundered’ property is re-introduced into the legitimate economy OR Returning the money back into the financial world as legal money. There can be several ways to do money laundering, but the most popular is the establishment of the fake companies which is also known as the "shell companies". ‘Shell Company’ acts like a real company but in reality this company does not exist in the real world and no production take place in such companies. Actually these shell companies exist only on paper, not in the real world. But the launderer shows large transactions in these Shell Company’s balance sheets. He takes loan in the name of these companies, gets tax exemption from the government, does not fill income tax returns and through all these fake activities, he accumulates a lot of black money. If investigating agencies or regulatory bodies want to check financial records, false documents are shown to confuse them. Buying a large house, shop, or mall but showing less value on paper, while the actual market value of these purchased properties is much higher. This is done so that they can reduce their tax burden. Thus, black money is collected through tax evasion. In another way, money laundering takes place when the launderer deposits his black money in the foreign banks. These foreign banks do not share customer’s account information with any country. Like banks in the Switzerland do not share account information where large numbers of Indians have deposited their black money. The initial money laundering law in India was enacted in 2002, but it has been amended 3 times (2005, 2009 and 2012). The last amendment of 2012 was approved by the President on January 3, 2013 and this law has come into effect from February 15, 2013. 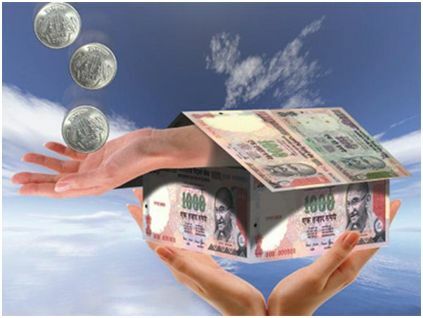 The PMLA (Amendment) Act, 2012 has put concealment of funds, acquisition of possession, use of proceeds of crime and possession of money in criminal list. It is worth to mention here that RBI, SEBI and Insurance Regulatory and Development Authority (IRDA) have been brought out under the purview of PMLA, 2002. Hence the provisions of this Act shall apply to all financial institutions, banks, mutual funds, insurance companies and their financial intermediaries. On the basis of the above explanation it can be concluded that the process of money laundering is quite complex and manipulative. But the government must increase the process of digital transaction to curve the menace of corruption in the country. Next Story What is Chit Fund and how does it work?